What is your next career move? Looking for a complete change of direction? Not sure if you are on the right career path? If you are asking yourself these questions, then it may be the perfect time to consider career counselling. It can be challenging to work out what you want to do with the rest of your life, so we focus our career counselling sessions on helping you work out what you want to do next. If you are not sure what your next career move will look like, but you think you need a change, we can help you put together a plan to ensure you make an informed decision. Whether you are just starting out in the working world or looking for a complete change in direction, the hard part is knowing where to begin. Career counselling is about asking you the right questions to start you on a journey to find the right path. We begin by helping you work out what is important to you for the next stage of your career, providing advice and strategies to narrow down your career options, to explore and assess which one could be right for you. Unfortunately, we can only give you the possibilities; you still have to make a choice! Providing short, medium and long-term steps that work for your circumstances, we assist you to investigate and narrow down the many career options available. With a focus on your current personal needs, you can then realistically assess each possibility to ultimately make an informed decision with a clear view of the final steps required to make a change. Career counselling can help you to figure out whether you are in the right career or just need to find a new employer. We explore the reasons why you believe you need a change and help you to figure out whether changing careers is the best option for you. Bouncing ideas off an experienced career coach can help you to clarify your thoughts, remove the noise from well-meaning friends and family, and ultimately find yourself in a satisfying job. Visit our Advice page for helpful hints on managing your career. First SessionThis one to one Career Counselling session provides you with the tools and advice you need to start down the path of finding a new career. 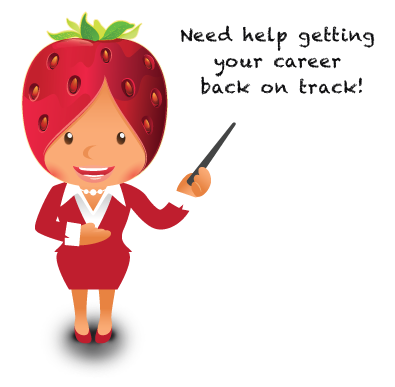 If you are interested in learning more about our Career Counselling program, please email info@strawberryseed.com.au or call (03) 4216 5200. Per sessionSometimes you just need some extra help to work through all your career options. While many clients stop with one session, we are happy to support you along the way.